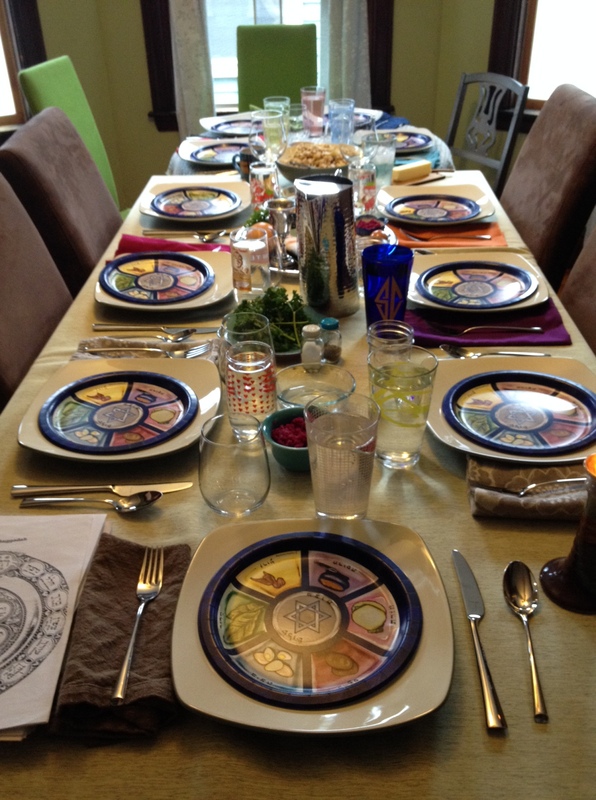 This past Monday my husband and I hosted Passover at our house for our family and some friends. Passover is a Jewish holiday that celebrates our freedom from Egyptian slavery many years ago. The first two nights of Passover are traditionally spent doing a Seder which includes telling the story of Passover, prayers, some songs and other traditions, as well as a big meal. The story of Passover tells us that when the Jews were finally freed from Egypt they had to leave in such a hurry that they did not have time for their bread to rise. This is why we eat matzo (unleavened bread) on Passover. During this time I think it’s also important to think about all the people in this day in age who are still not free. 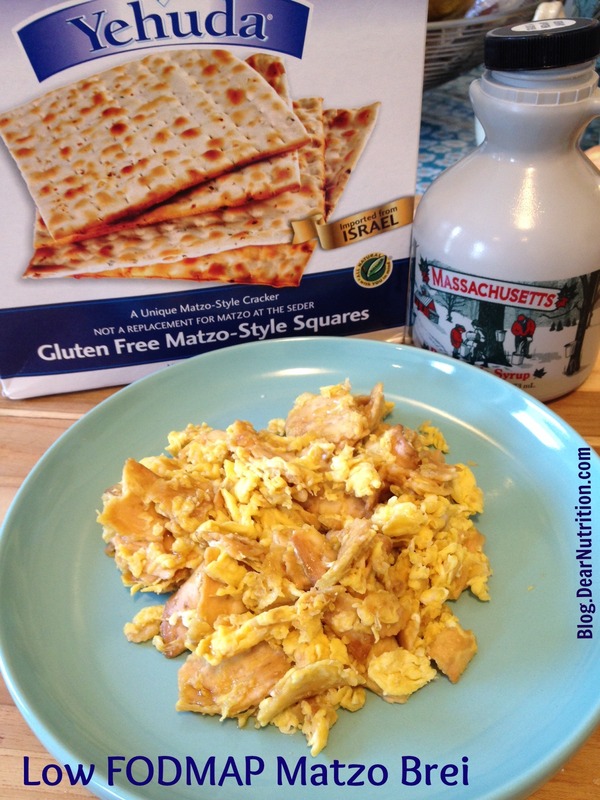 A typical weekend breakfast on Passover is something called matzo brei. Some people even eat it all year because it’s so tasty. Think of it as Passover french toast. There are a couple different ways to make it. One way is more like french toast – more matzo and less egg that’s cooked kind of like a pancake. I personally like more egg and less matzo, cooked like scrambled eggs. 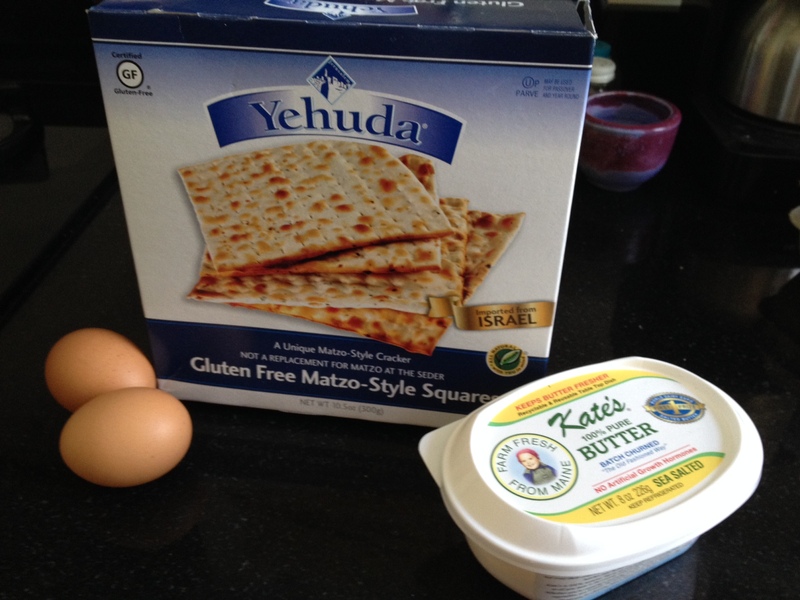 To make a gluten free, low FODMAP version of matzo brei, just use gluten-free matzo! Yehuda gluten free matzo is made with tapioca and potato starches and is delicious. In fact, it tastes even better than regular matzo, probably because of the added oil. To make matzo brei (for 1 person), scramble two eggs with a little bit of water in a small-medium sized bowl. Then soften the matzo. Run one and half sheets of matzo under warm water for 10-15 seconds, then break it up and let it sit in the scrambled eggs for about 5 minutes. Next, melt some butter in a medium pan and cook the matzo brei like scrambled eggs. Serve with maple syrup and enjoy! 1. With a fork or whisk, beat two eggs with 1 Tbs water in a small–medium sized bowl. 2. Run matzo under warm water for 10-15 seconds to soften it. 3. 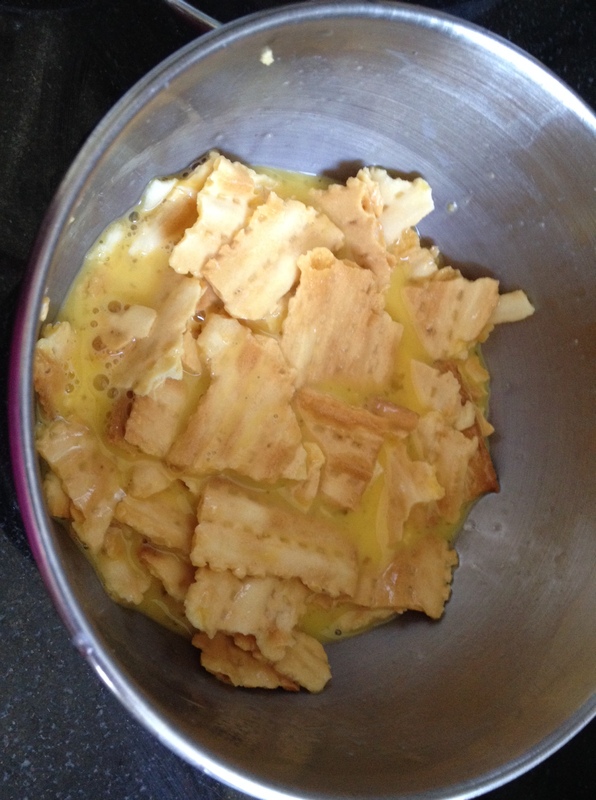 Break matzo into small-medium sized pieces and mix them into the eggs gently. Let sit for about 5 minutes. 4. Head 1 tsp butter in a medium frying pan. 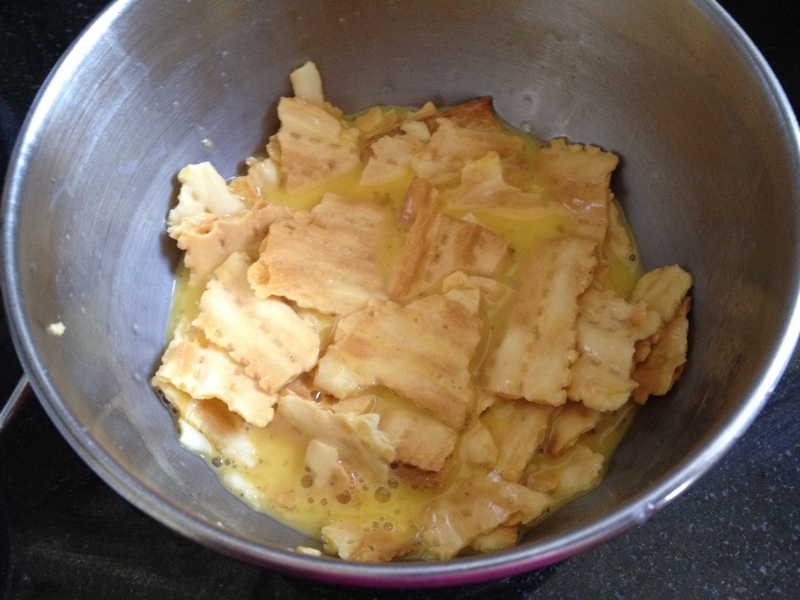 Add egg matzo mixture and cook for about 3-4 minutes, stirring constantly until eggs are cooked through. 5. Serve with maple syrup.